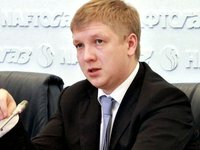 Andriy Kobolev, the chairman of the board of Naftogaz Ukrainy, is confident that after Denmark's refusal to agree on the passage of the Nord Stream 2 gas pipeline, its operation will not start in the period announced by the Russian side, on January 1, 2020. "Now, after what recently happened in Denmark, it cannot be denied that this is another big delay [of putting the pipeline into operation]. It is obvious that the last route that the consortium [for the construction of the gas pipeline] hoped for will not be launched in the near future. This means that this pipe will not be able to supply gas to Europe from January 1, 2020," Kobolev said during a conference on the security of gas supplies to Europe in Brussels. Speaking about the prospects of gas transit through Ukraine, the head of the company referred to the estimates that were given by international analytical centers. "They all tried to answer one simple question: whether Gazprom [Russia] will be able to cope without Nord Stream 2 and without Ukrainian transit. There is no simple answer to this question for one simple reason. If there is no Nord Stream 2 and TurkStream 2, Gazprom will lack a small portion of opportunities [due to no transit through the gas transportation system of Ukraine], which will not allow it to fully fulfill its obligations. If there is TurkStream 2, but there is no Nord Stream 2, Gazprom can manage without Ukraine, but remaining at the minimum level [of gas supply volumes]. If there are both, then Gazprom can cope without Ukraine," Kobolev said.